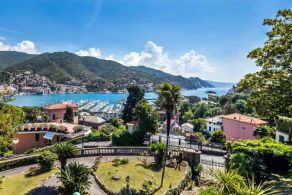 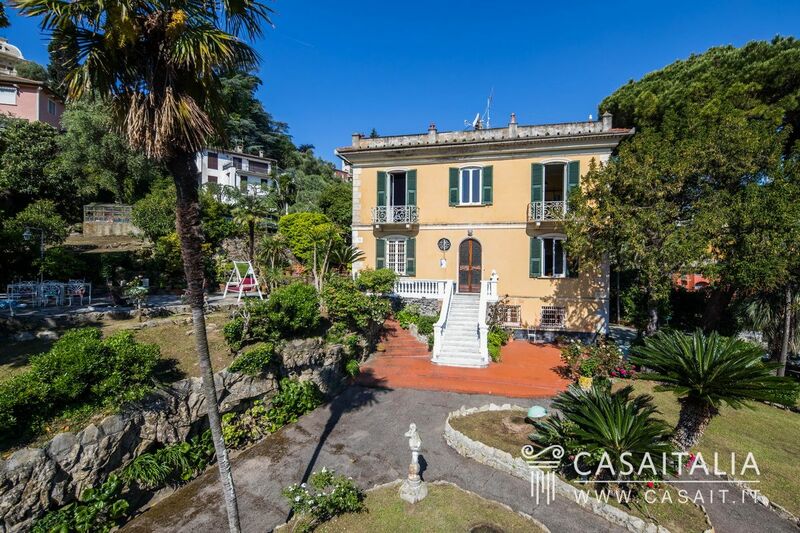 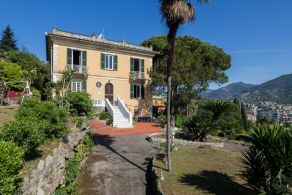 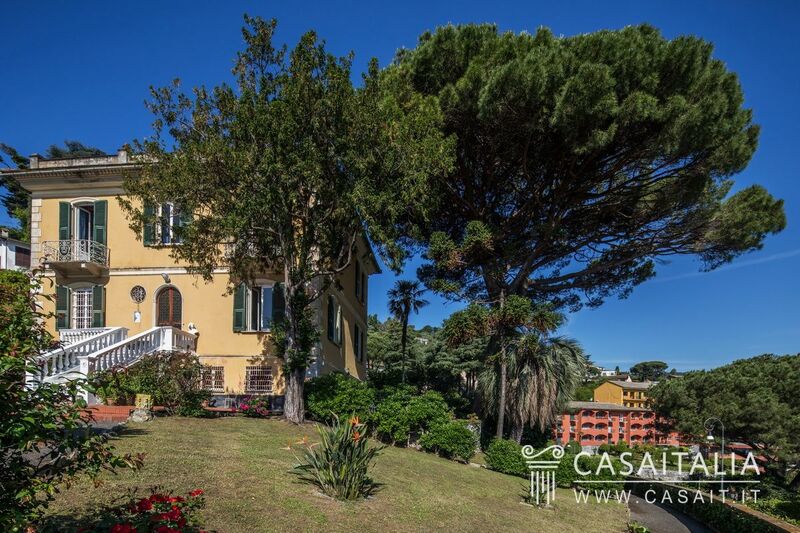 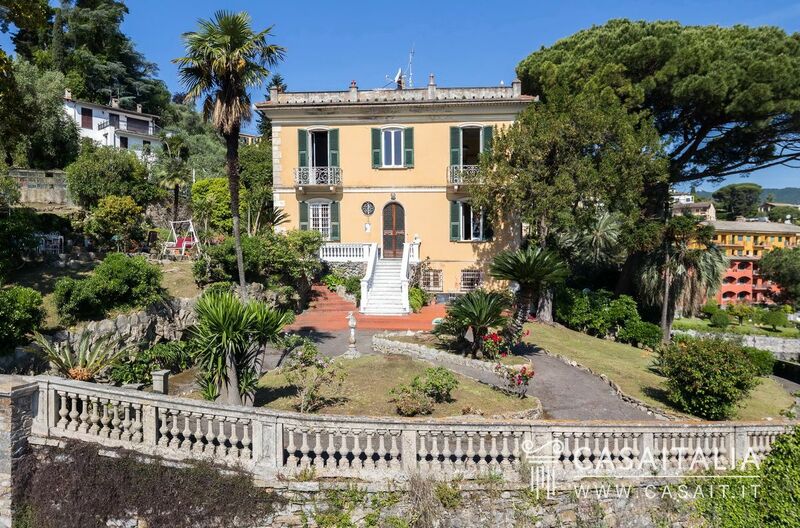 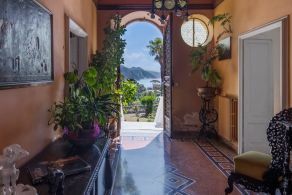 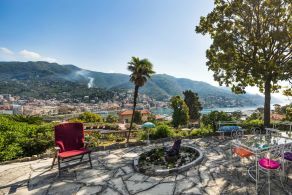 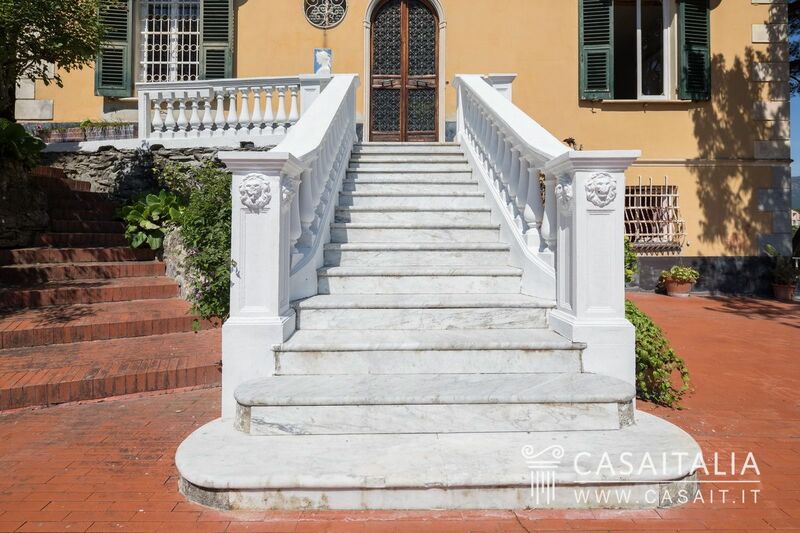 Period villa on the Tigullio Gulf, in Rapallo, one of the main tourist beach resorts of the Ligurian Riviera and the Riviera di Levante. 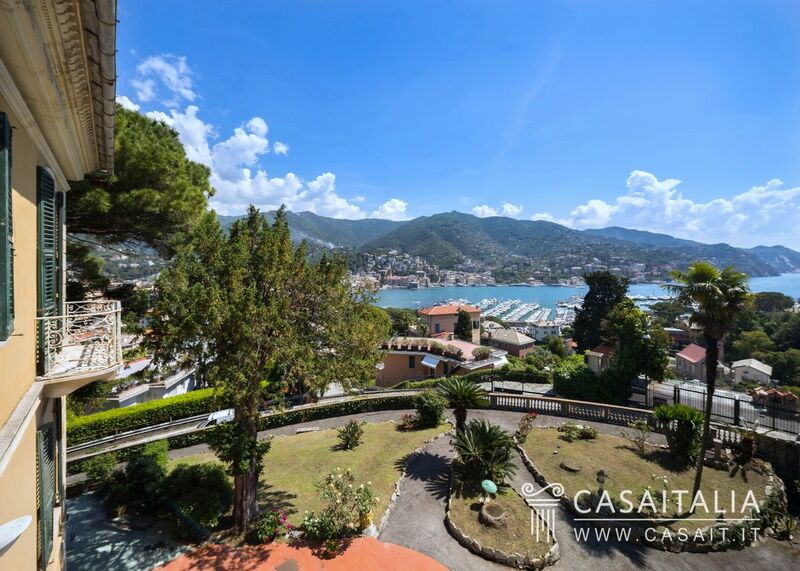 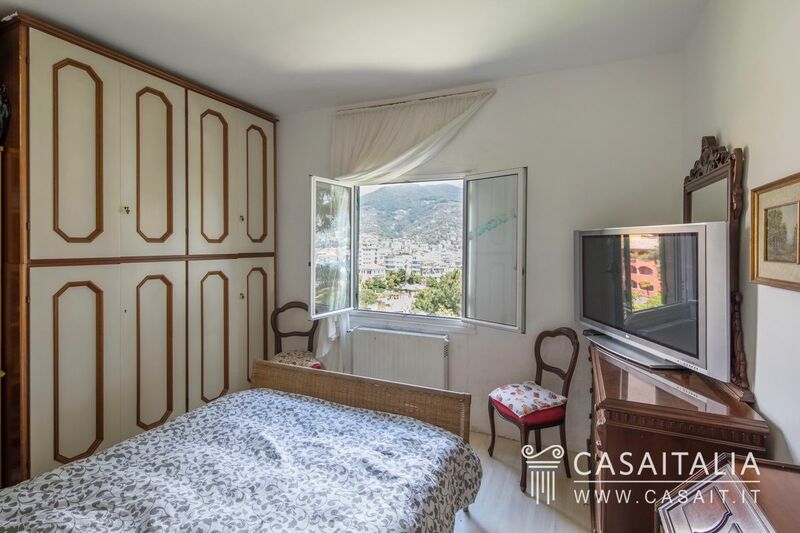 The location is hilly and panoramic with a stunning view of the city and the sea. 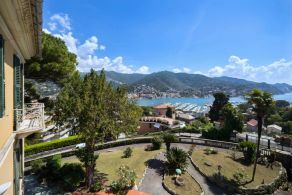 Rapallo and the surrounding area, in addition to the beautiful countryside, has a wide array of luxury shops, entertainment venues of all kinds, sports facilities and of course the port, which is also private, with around 400 moorings which make it a hub for high-end national and international tourism. 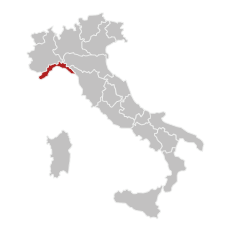 You can get to Genoa (26 km), and its airport (36 km) in around half an hour, thanks to the connection with the E80 motorway which is just 3 km away. 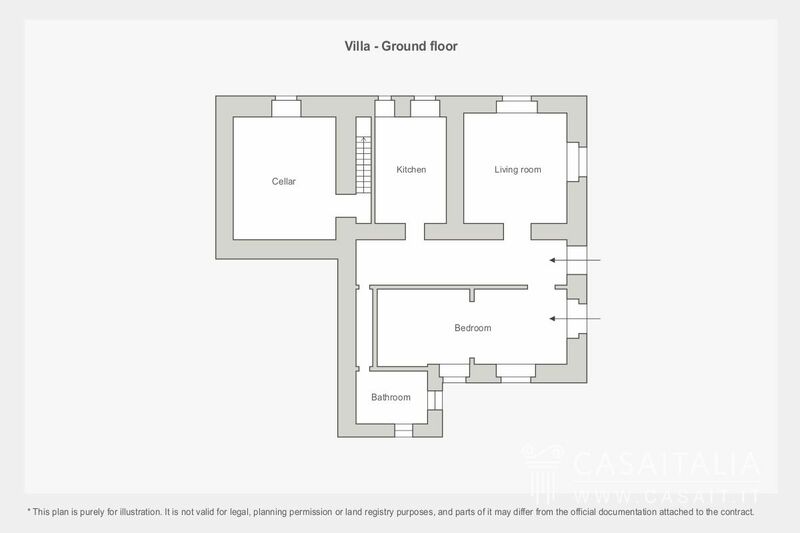 This period villa on the Tigullio gulf has a total surface area of 442 sq.m, over three floors, plus a gatekeeper’s lodge measuring around 50 sq.m and a double garage measuring around 57 sq.m in total. 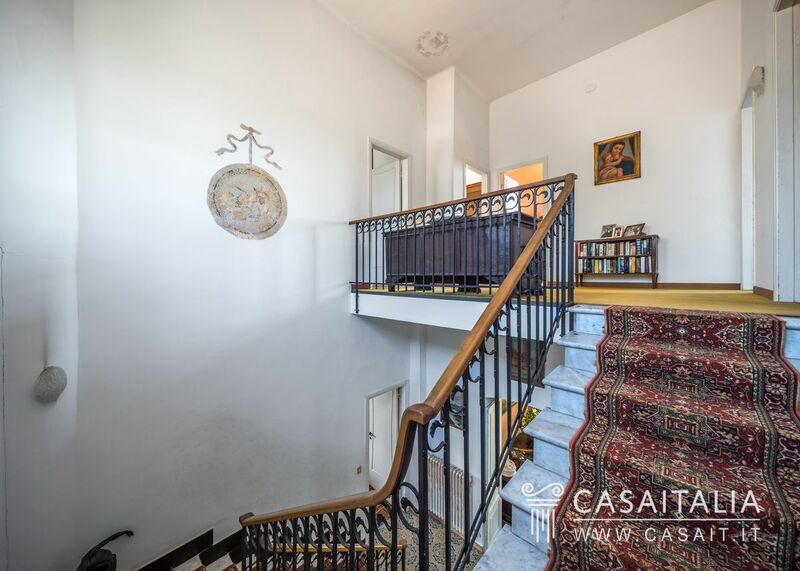 The villa’s main access is via a pretty central staircase, which leads to the raised first floor. 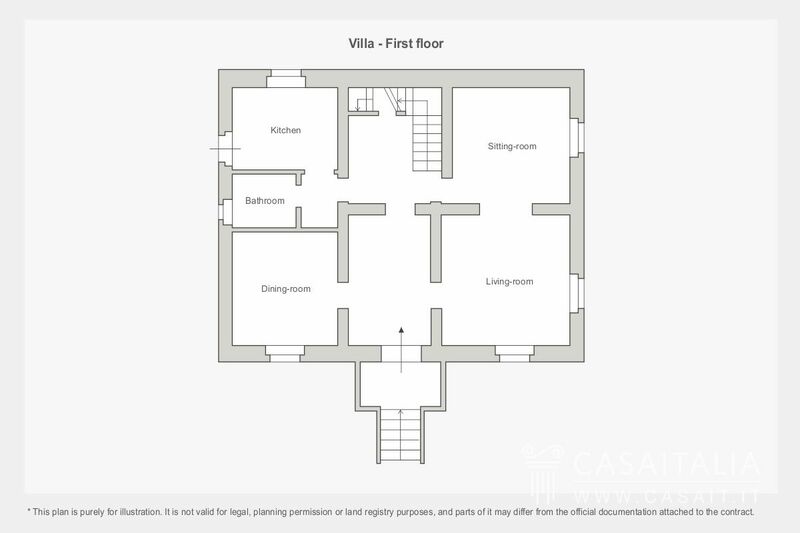 Here, there is a large entrance which takes you to the living room with fireplace, the sitting room, the dining room, the kitchen, a bathroom and the staircase to the floor above. 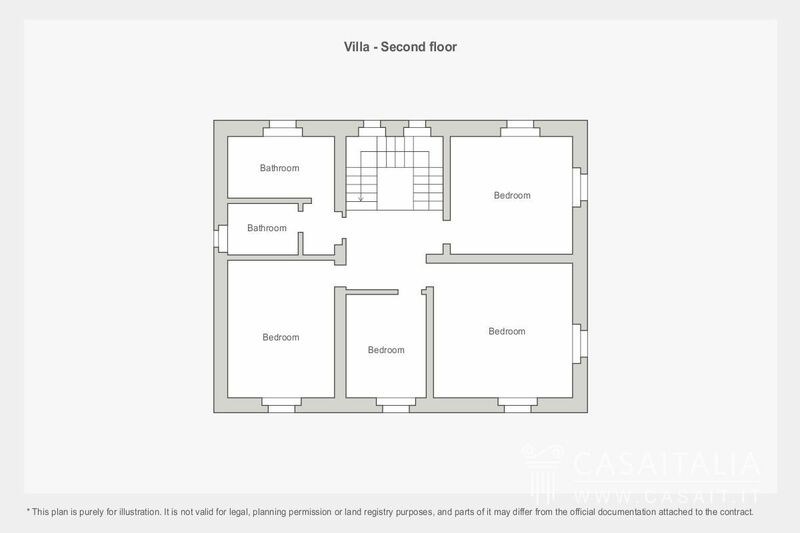 The second floor is all sleeping quarters, with four spacious bedrooms with a view of the gulf and two bathrooms. 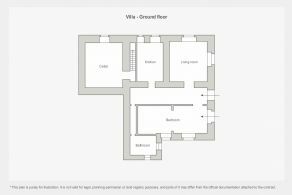 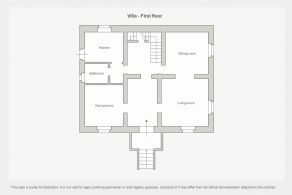 The villa also has another living space on the ground floor, which measures 2.15 metres in height and was probably originally used for the servants’ quarters. 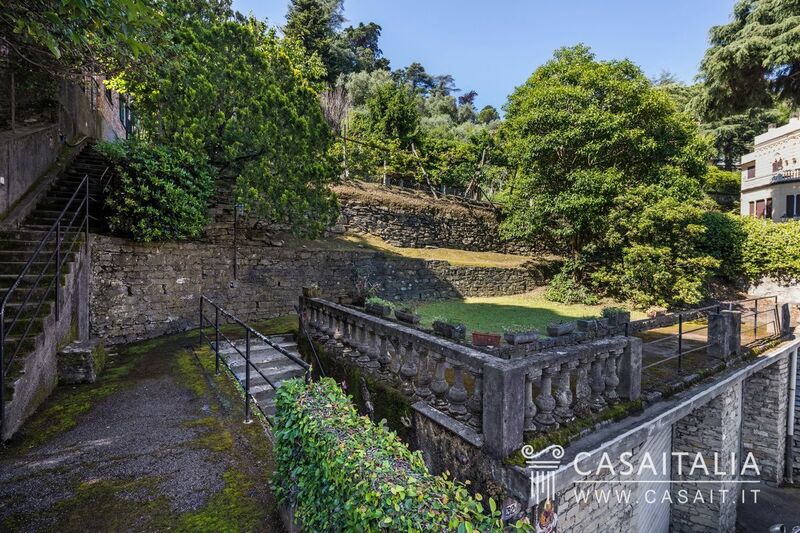 In this area there is a kitchen, a living room with fireplace, a bedroom, a bathroom and a cellar with outdoor access. 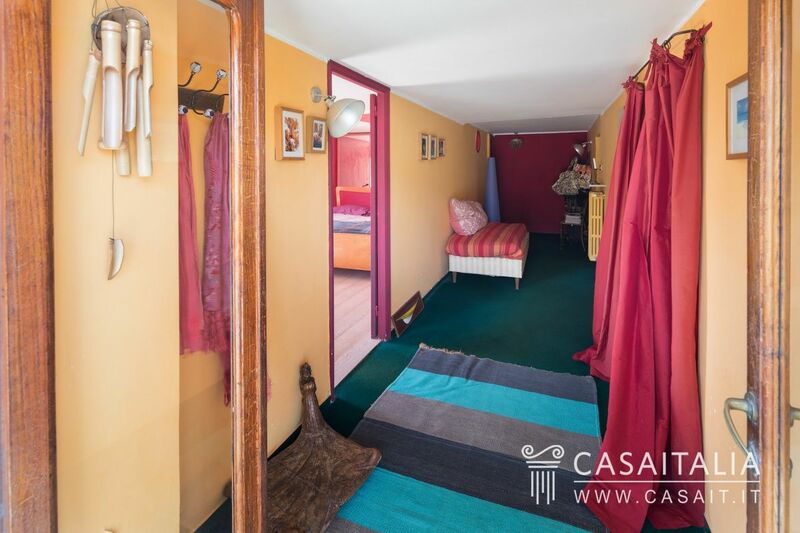 Completing the property is the gatekeeper’s lodge, a small building with two floors, measuring 50 sq.m in total, divided into kitchen/living room, bedroom and bathroom, which could be converted into a pretty guest house. 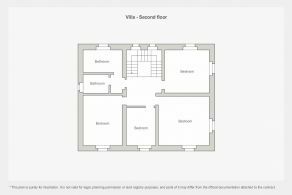 Finally, the villa features a large garage, measuring around 57 sq.m in total, with a double entrance and street access. 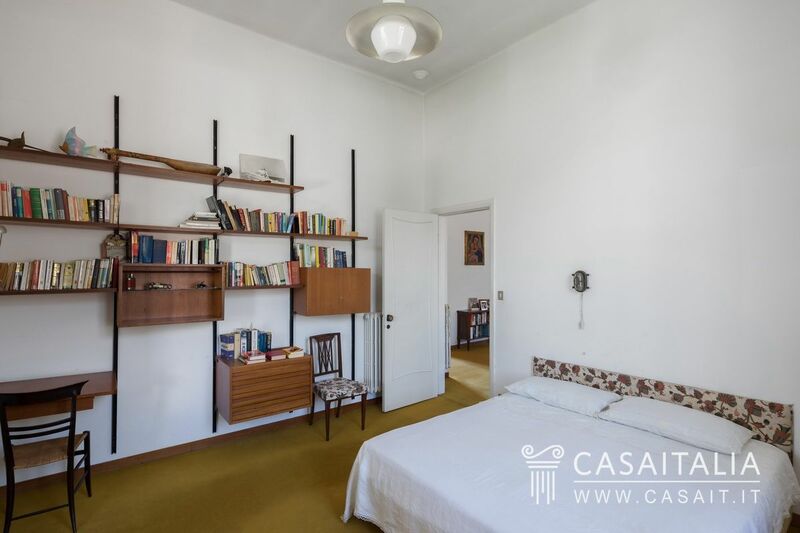 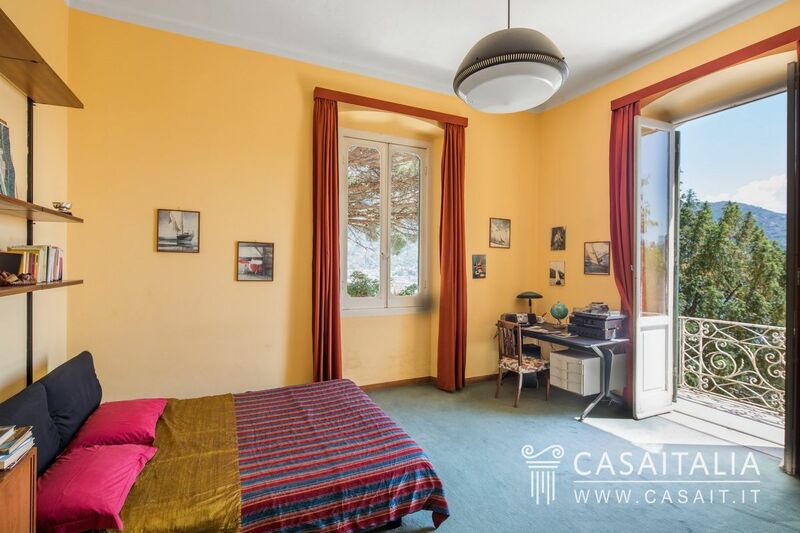 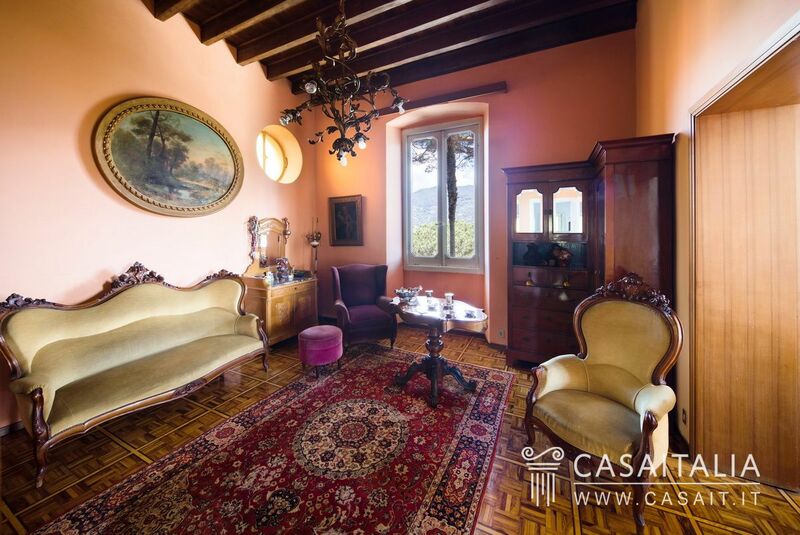 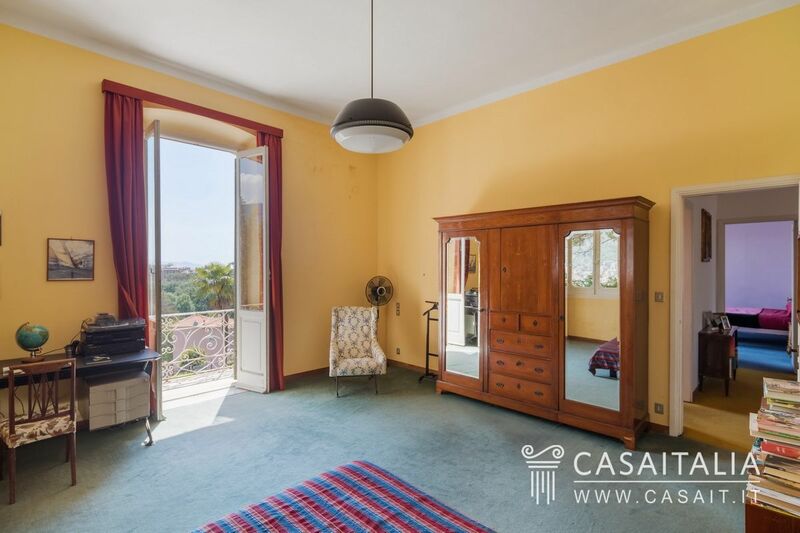 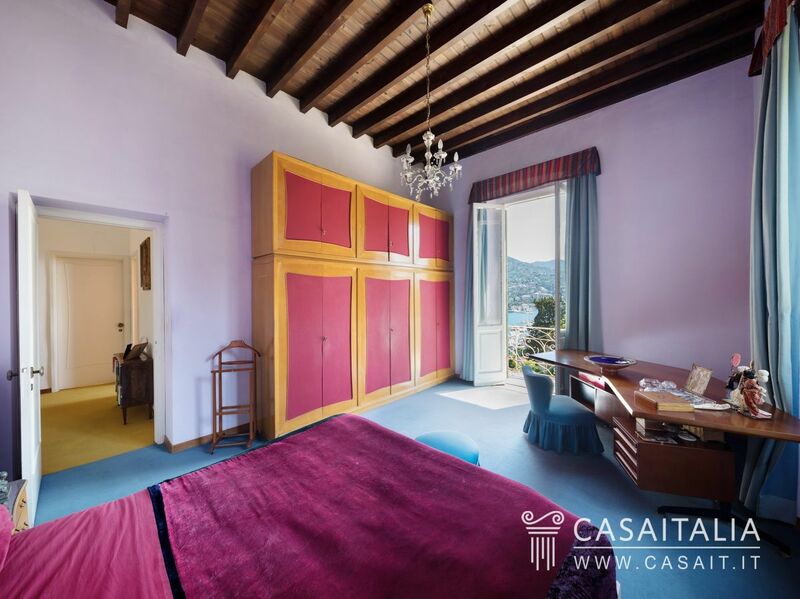 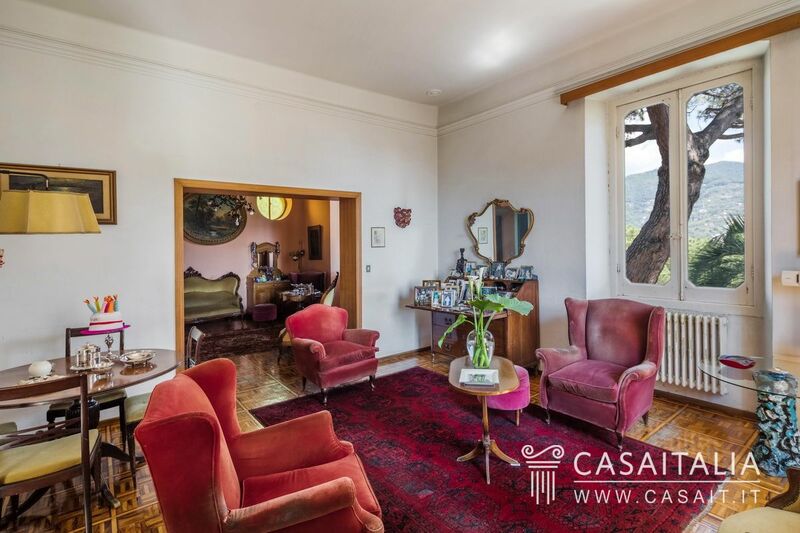 The villa was built at the end of the 1800s for an opera singer who fell in love with the place and asked for her bedroom to be built with a vaulted ceiling (today it is panelled) for better acoustics so she could practise singing. 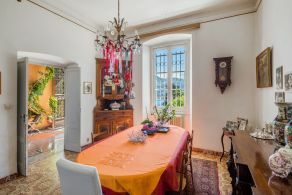 It was bought and restored by the family of the current owners in the 1970s. 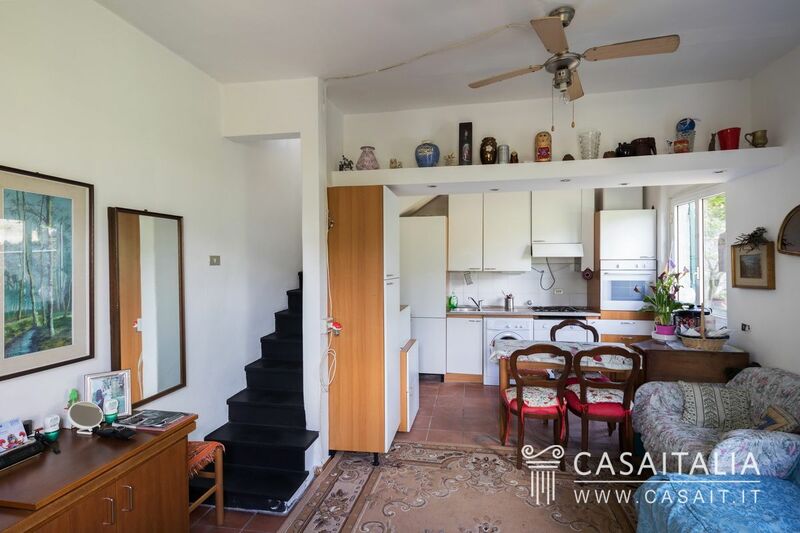 Over the years it has undergone maintenance work which mean that it is in move-in condition today, but the property would benefit from further restoration to add value and most importantly, upgrade the appliances. 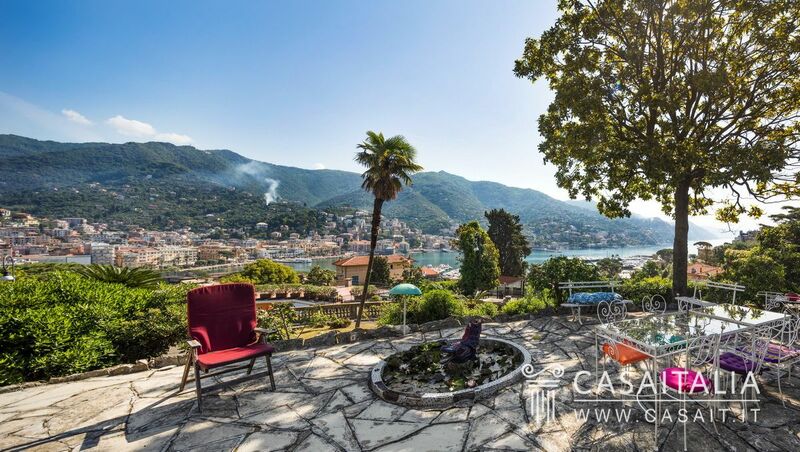 Surrounding the villa there are 2140 sq.m of private land (including the grounds of the buildings), with landscaped garden areas, the vegetable garden and the paved terraces for outdoor dining or enjoying the magnificent view. 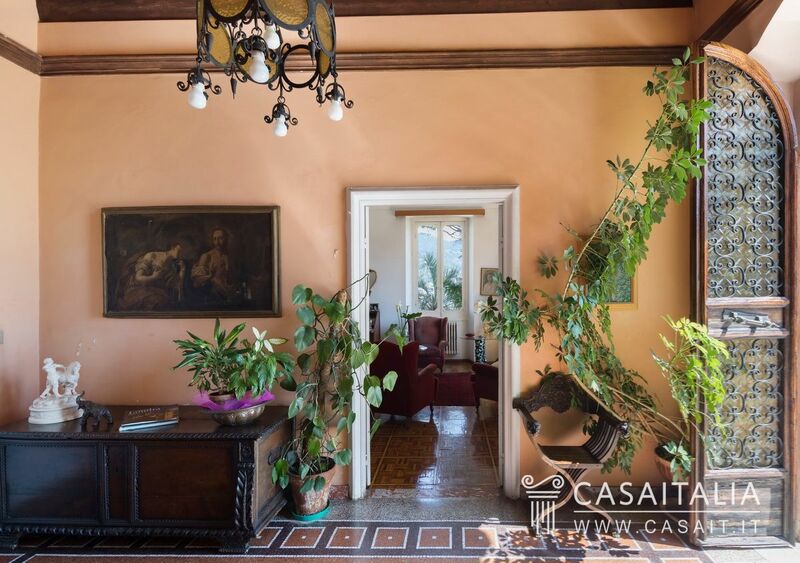 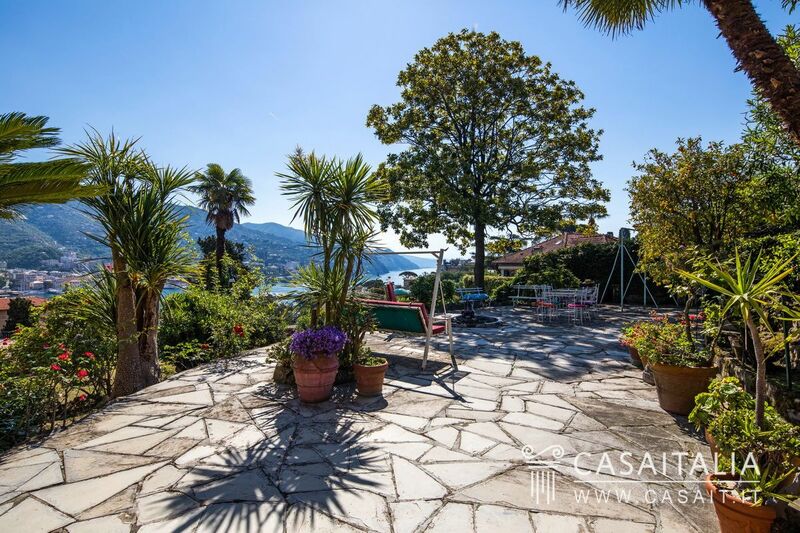 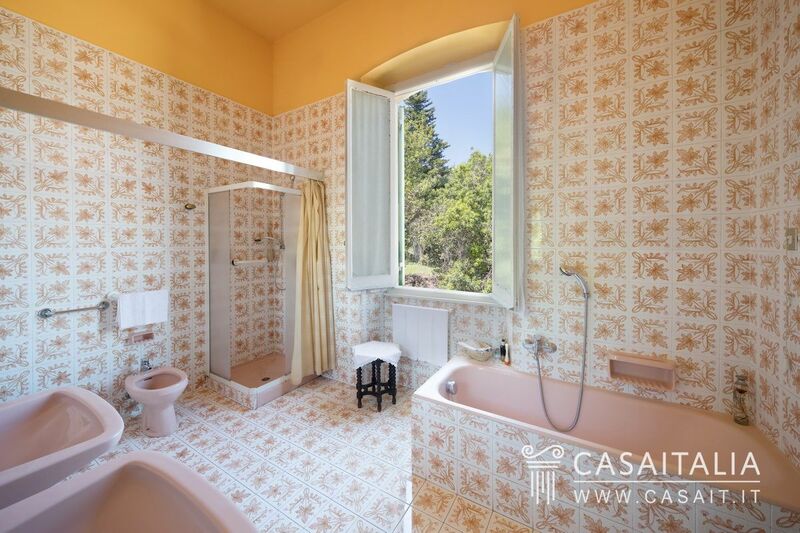 The location of this Period Villa on the Tigullio Gulf, which is panoramic, convenient and a stone’s throw from the centre, make it an ideal permanent residence or holiday home. 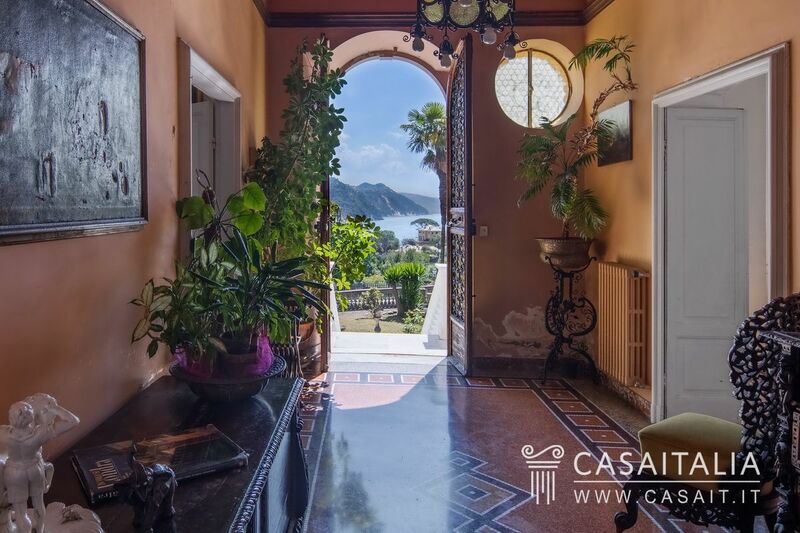 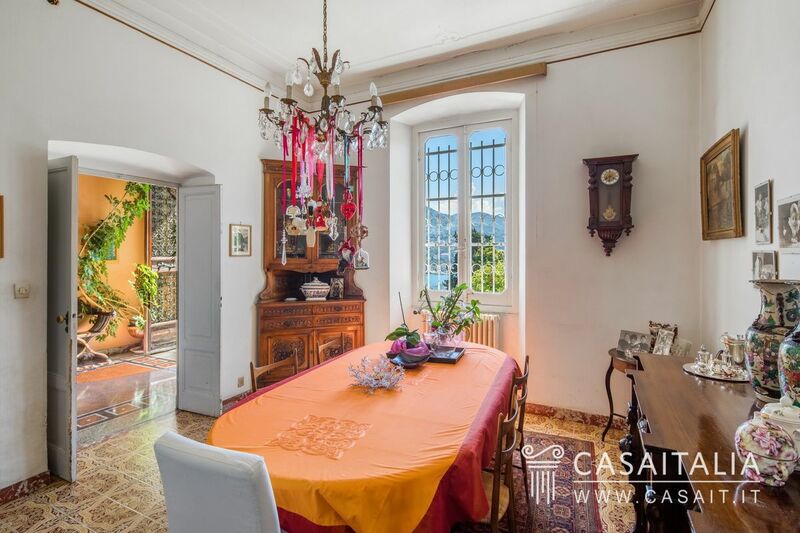 With some modernization, both to enhance its architectural features and upgrade the appliances, the villa could become a beautiful home in which to entertain guests.